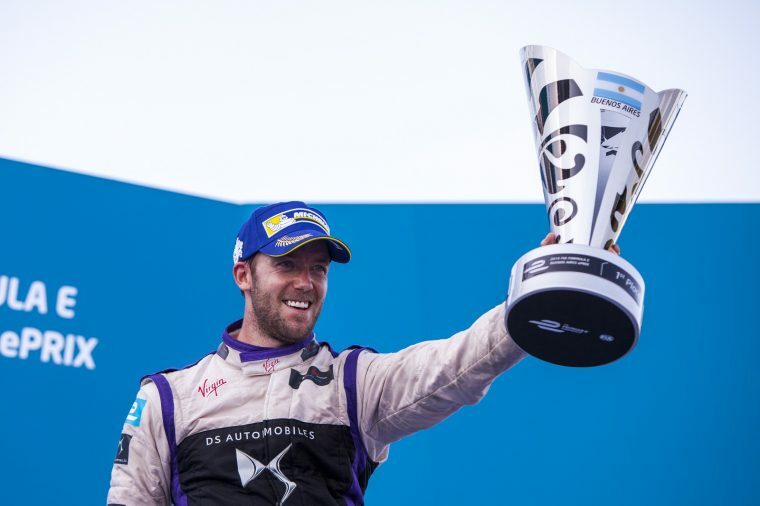 In our Women’s Week Special 2016 we take a look at the fantastic women in Formula E. This time we interview Diane Bird, whose son Sam is one of the main contenders for the championship, to get a mother’s perspective on the sport. There’s the saying: “Behind every successful man, there is a woman” and often the mother is one of the strong women behind a man yet this topic is barely looked upon. Could you describe the feelings of a mother when her kid is a professional racing driver? Very mixed feelings, the whole sport is a roller coaster. Over the years there have been as many lows as highs, but every win/podium or fantastic race makes it all worthwhile. Years ago, the underlying question was always – should we allow this, or insist on university/qualifications but somehow I always had faith that Sam would become a professional, fulfil his dream and make a good living. From what age did you know Sam wanted to be a racing driver? That’s a funny one. When he was one we bought him a sit-on, push with your feet plastic “ferrari”, and when he could speak, he started saying “Sam wacing dwiver” . After that, he nagged and nagged consistently about karting and when could he start. What role do parents play in the career of racing drivers, especially in the early years? A huge one! There’s that first decision to let him get in something that seems far too fast for that little person, then there’s the “can we afford it?” Even when that initial cost is actually quite minimal, I don’t think anyone considers ahead to the eventual cost if your kid proves to be good. Then there’s the time commitment, difficult if you have more than one child; the transportation, overnight stays and the emotional input. When talking about drivers’ mothers, their possible fear is often the most talked about topic. Which aspect do you think should be given more attention to when talking about mothers in motorsports? There is an initial fear, but you learn to cope with that quite quickly. I have loved motorsport since I was 18, and therefore had a basic understanding of the sport, and therefore was happy to fill in the entry forms, order fuel and tyres, arrange travel and hotel accommodation from the early karting days. Through the ranks, I have been involved with contracts, pr/websites and travel/accommodation plans. Even today, I help with PR, general advice and Sam’s finances. There is a huge role for a mother if she wishes to get involved. Knowing when to attend races or not is a women’s instinct thing as well!!!! 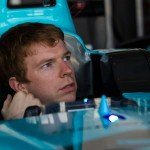 Seeing that Sam has a lot of experience in different racing series, how would you compare the atmosphere in Formula E to the atmosphere in other series? Formula BMW was great, very hospitable, but the higher up the ladder, it became harder and more expensive to have the hospitality and even get access. The two series that are most friendly are definitely FE and WEC. Would you say Formula E is a more “women-friendly” environment compared to other racing series? 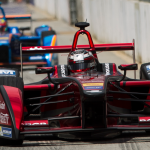 What do you think about Formula E as a racing series? Did it in any way change your opinion on electric cars? I enjoy Formula E, it’s great racing. It woke me up about electric cars. I hadn’t even considered electric cars before, but I can see now how important they could be in our lives in the future. As soon as they can run for a lot longer, look as good and have the power of what I drive now, I will get one. Do you think there will be an equality between men and women in motorsports in the future? Sadly not. Women can be great drivers, but for a long time to come, I think will be mainly male-orientated. I am thrilled though, to see women engineers/mechanics/strategists in the sport.